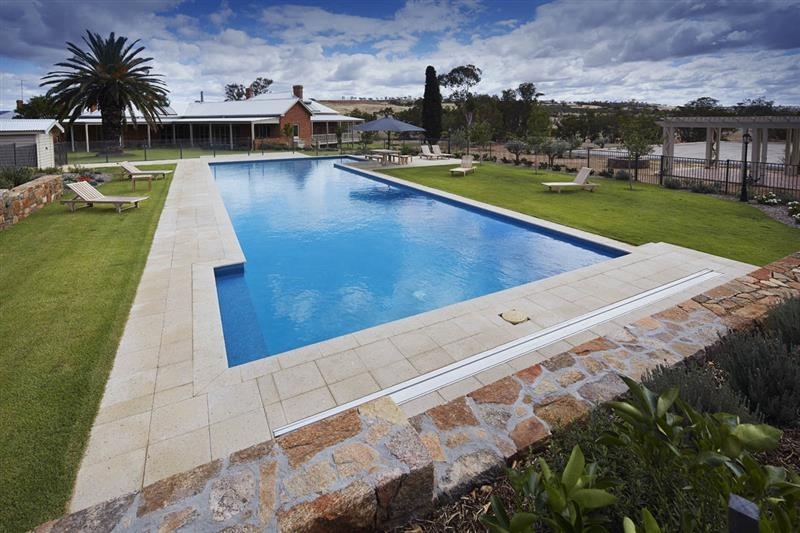 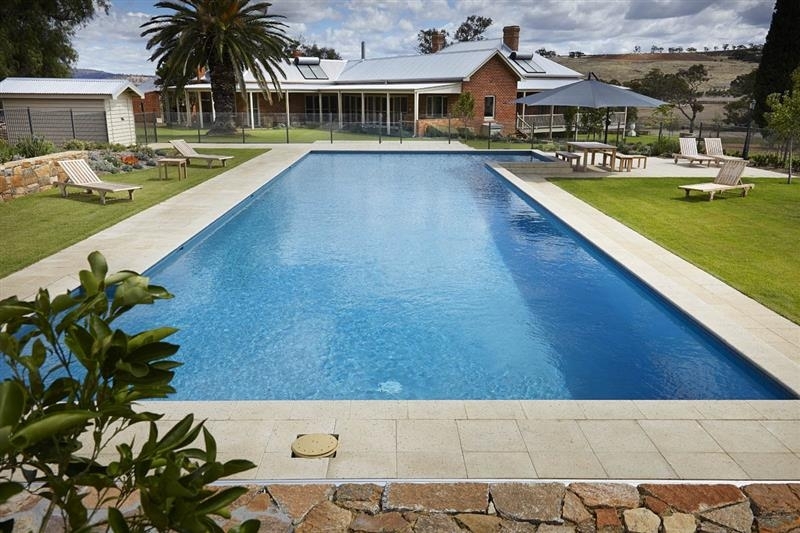 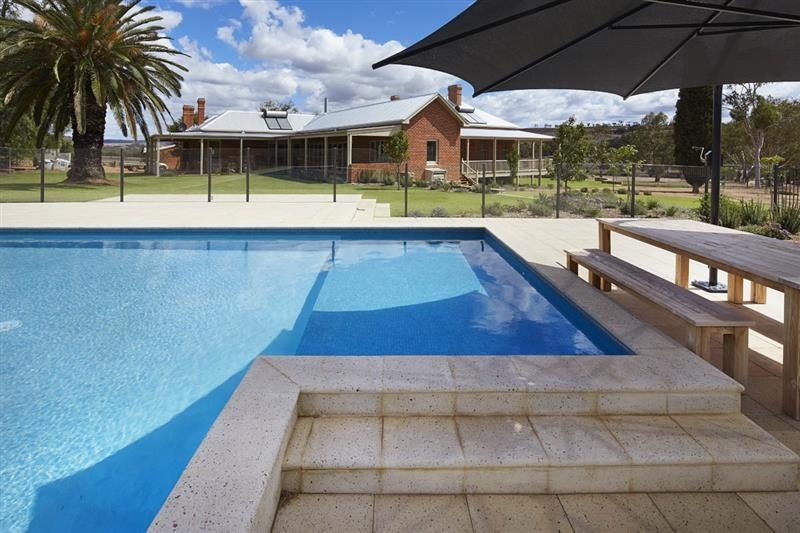 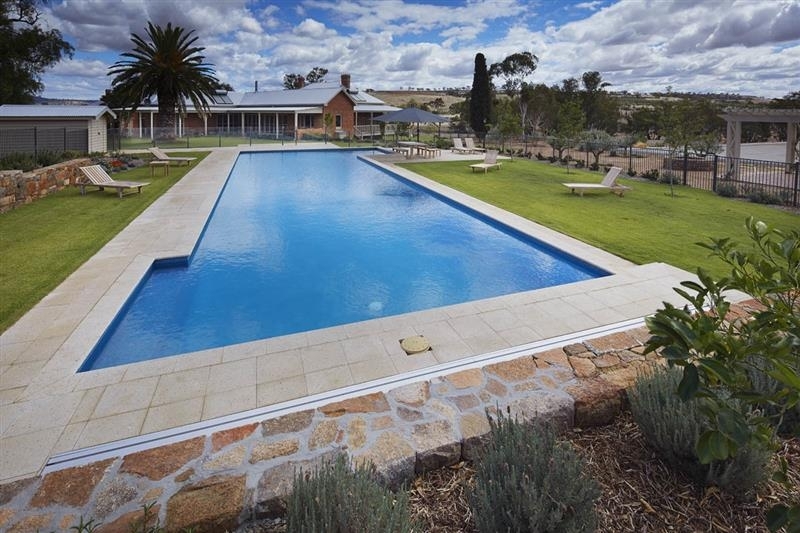 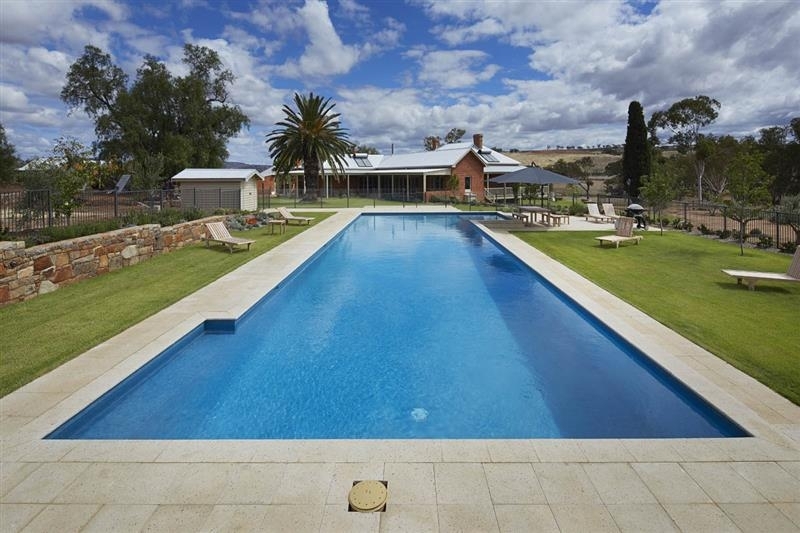 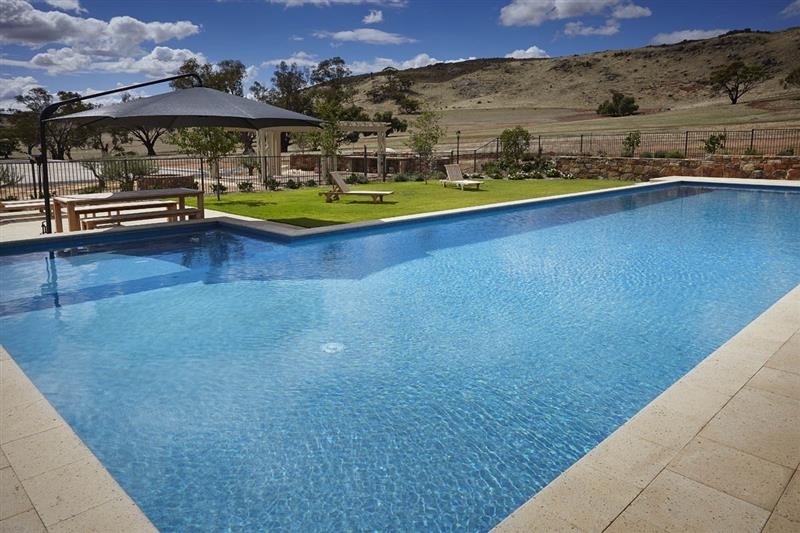 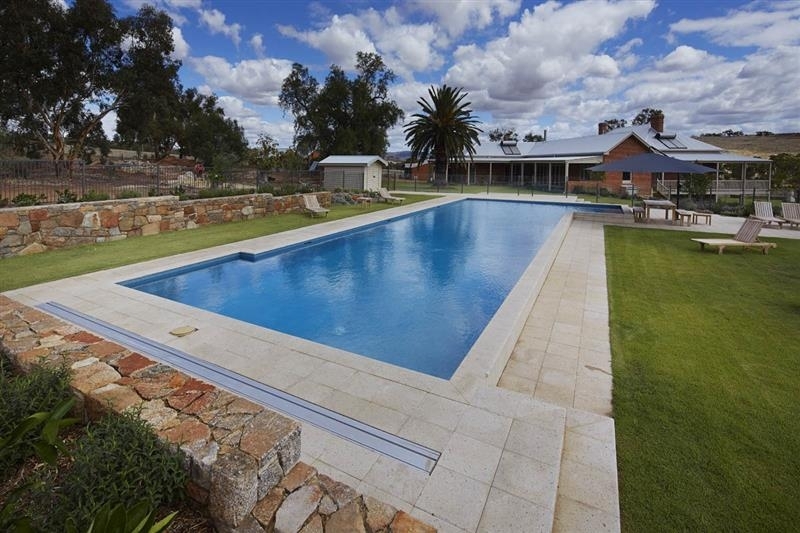 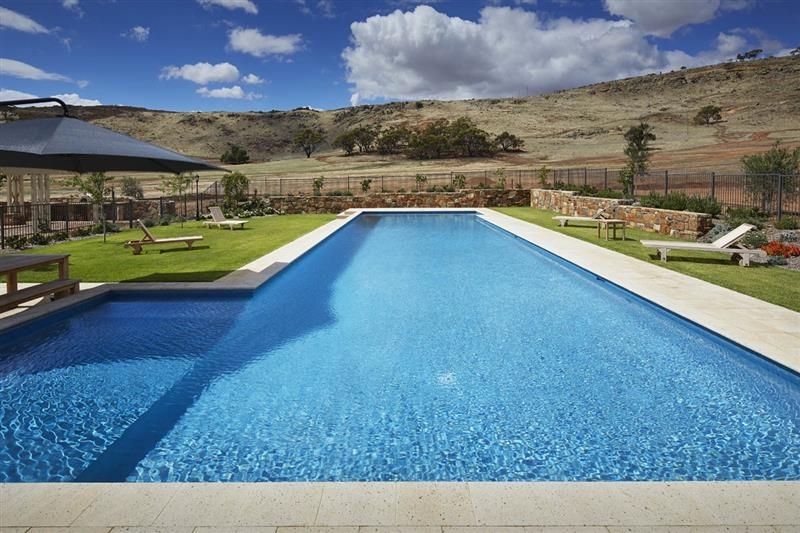 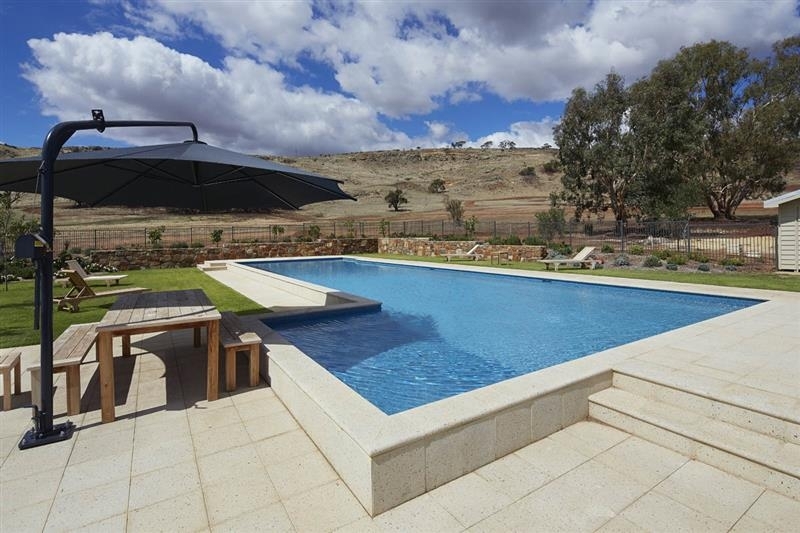 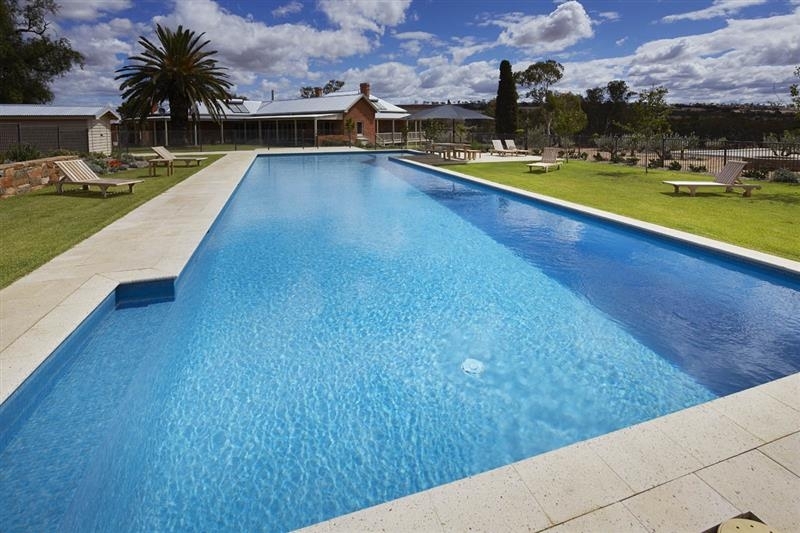 This large geometric pool was built for our client wanting a pool to feature near their residence. 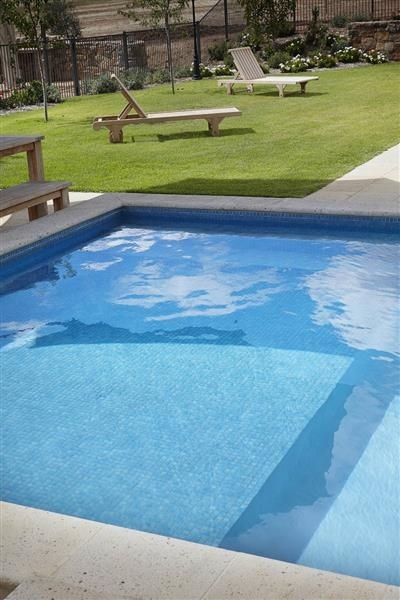 The pool is raised slightly above ground on one side with steps up to the pool. 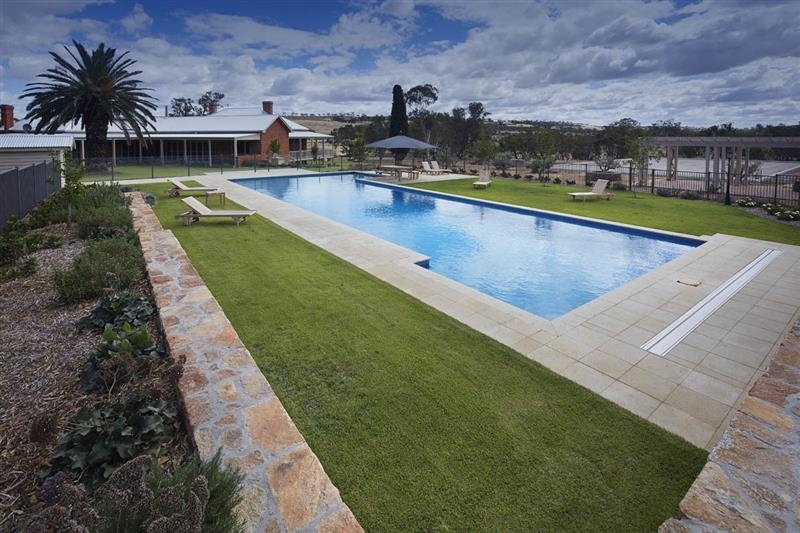 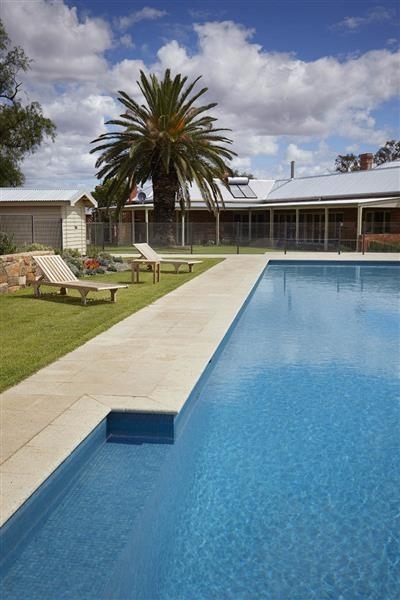 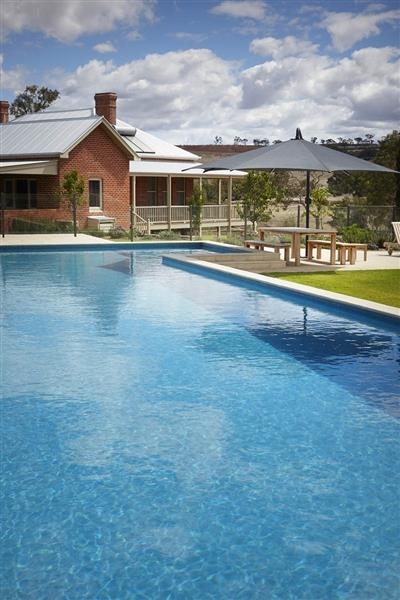 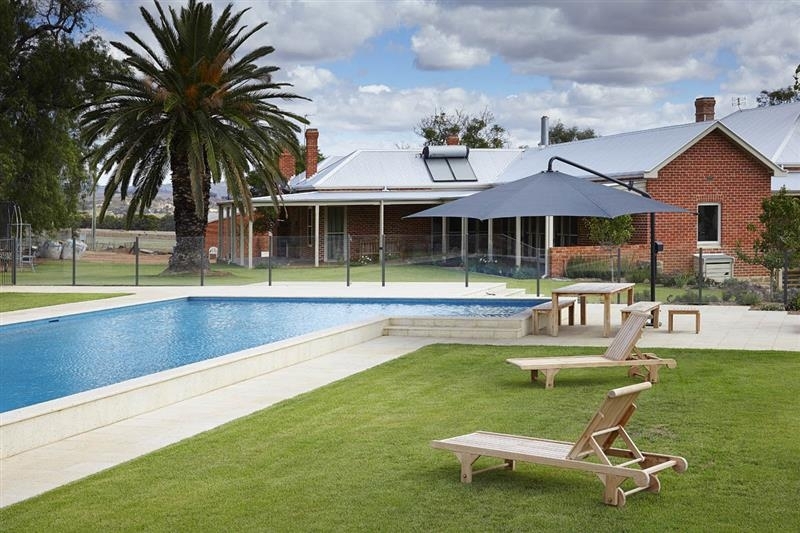 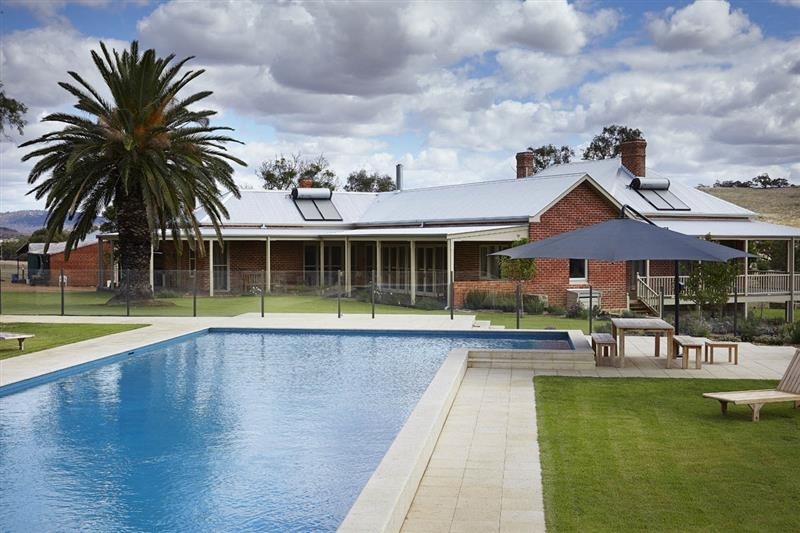 Paving and lawn encompass the pool giving a natural open feeling that compliments the surrounding landscape.